When a disgraced CIA analyst confined to desk duty learns her daughter’s fiancé and former partner has disappeared, she goes rogue to save his life and her own reputation. A camel ride and a Muslim teen with questions about God challenge her spycraft and faith as she rides toward a firefight with jihadists intent on committing the worst terror attack since 9/11. $0.99 on Kindle. Dance with the Enemy is the explosive first installment in the best-selling Enemy series featuring enigmatic agent Carl Logan – Over 150,000 copies sold! $0.99 on Kindle. Dance with the Enemy is the explosive first chapter in the highly-acclaimed and bestselling Enemy series of thrillers featuring Carl Logan. $0.99 on Kindle. In 1960’s London, British Intelligence agent Peter Stoller is next in line to run the Agency—until he falls in love with cab driver, Charles, and his life goes off the road. When Charles is accused of treason, Peter is guilty by association. Peter manages to extract them both, but the seeds of doubt have been planted, putting Peter’s mind and heart at war. Is ignorance truly bliss or merely deadly? $0.99 on Kindle. Arctic Wargame is the first book in the wildly popular Justin Hall spy thriller series, hitting Amazon’s Best Sellers lists in 2012, 2013 and 2014. Arctic Wargame is an action-packed spy thriller in the bestselling tradition of David Baldacci, Brad Thor and Vince Flynn. Readers will enjoy a great tale of courage, fear and betrayal. $0.99 on Kindle. An American president who will do anything to win reelection. . .
An Iranian leader who will stop at nothing to bring about apocalypse. . .
An ancient evil, only waiting to be reborn. . .
High in the Alborz Mountains of northwestern Iran, an archaeological team disappears. American citizens are among the missing. . .
Days later, imagery from U.S. spy satellites reveals detachments of the Iranian Revolutionary Guard Corps descending upon the site. . .
With the presidential election only months away, President Roger Hancock authorizes a covert CIA mission into the mountains of Iran. Their objective: rescue the archaeologists and uncover the truth. With fifteen years in the Clandestine Service, paramilitary operations officer Harry Nichols is unquestionably the man for the job. He’s a tough, ruthless veteran operator. He’s led his men into harm’s way time and again. For him, it’s all about the mission. It’s all about the team. He’s never seen anything like this before. . . Drawn into a web of conspiracy that reaches half-way around the world and into the highest levels of the U.S. government, he soon finds that nothing is as it seems. The mission itself is suspect. His team can no longer be trusted. And a misstep means world war. . . $0.99 on Kindle. Thomas Gunn (former Special Forces) and his partner Julie are running for their lives. 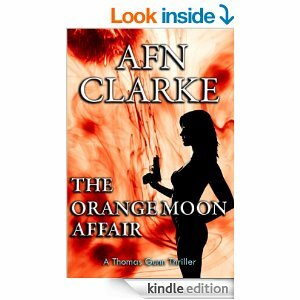 It began when Thomas decided to investigate the murder of his wealthy industrialist father. Find out the dark secrets that Thomas uncovers in edge-of-your-seat thriller. $0.99 on Kindle. In the dead of night, Rufus Reed is a former British Special Forces officer turned author, is drugged, kidnapped and “disappeared” to a secret CIA prison outside the United States. Accused of terrorism he is relentlessly questioned and tortured. But Rufus is no ordinary prisoner, and has some surprises of his own. He engages in psychological “warfare”, surprising his interrogators – Captain Sorenson and Walter Grace – with his ability to resist torture, his quick wit, intelligence and even-tempered logic. As he plants seeds of doubt, a dramatic turn of events sets off alarm bells in their minds – with growing horror they realize they may simply be pawns in a larger more insidious game being played out at the highest levels of the US government. A game where not just Reed, but all of them are expendable. Dare they take a life and death decision to step out of the game? And if so, how? $0.99 on Kindle. 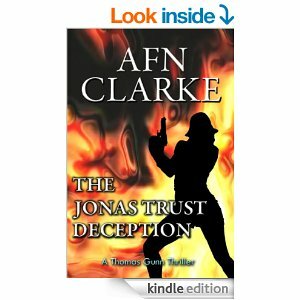 Thomas Gunn is ex-British Special Forces, with a talent for infiltration and assassination. Skills that a year ago he reluctantly called on, to expose an international conspiracy that led to the murder of his father and death of his best friend. He thought it was all behind him. But a desperate call from his journalist friend Morgan, propels him into an even more sinister plot that threatens global politics and the security of the United States. Racing to follow her cryptic clues, Thomas and his partner Julie are thrust into the deadly path of Mexican drug cartels, corrupt politicians, the CIA, FBI, MI5 and ruthless Wall St brokers. What evil end-game binds these unlikely players together? It appears the shocking truth lies in the painful memories of Thomas’s past during covert operations in Afghanistan at the height of the war. A past he had hoped to forget but will not forget him. Was he used as a pawn in an evil “game” back then? Is he still being “played” even now? Outraged at the thought he does something so unexpected that its boldness and daring will take your breath away! But how high a price will he have to pay for uncovering the truth?